Buying Books? SUPPORT OUR NETWORK! Since many of our supporters and activists are big readers, we have organised a method for those book lovers out there to purchase books relevant to National-Anarchist theory and support our Australian network at the same time. 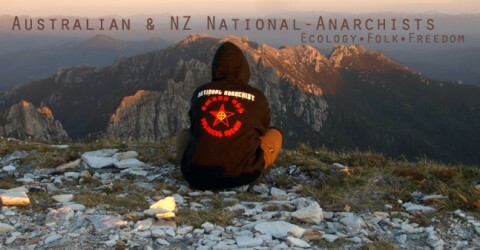 Every time you purchase a book from our Books page, Amazon.com will pay a commission to the Australian National-Anarchist network. Amazon is almost literally donating to our movement every time you purchase books that we advertise on this site. We currently have a quality list of books that would be of interest to National-Anarchists, though we intend on expanding this list in the future. If you have any books in mind that you are thinking of buying, let us know and we can organise a direct link so you can help us out at the same time. The Australian National-Anarchist network would like to wish everybody a Happy Yuletide/Merry Christmas and a Happy New Year! We’d also like to warmly thank our supporters and our activists for a good year of networking, organising and promoting of our ideals. Enjoy this holiday season with your families and we look forward to an even brighter and more activism filled 2010. The Yarra National-Anarchists are hosting a dinner and cultural awareness night on Saturday 4th April. The event is open to anybody keen to attend and become involved in what should be a pleasant and rewarding night, celebrating the beginning of Autumn and what that means to folkish communities worldwide. What: Yarra National-Anarchist Harvest Festival. An organic, vegan dinner will be supplied and those attending will enjoy an informal celebration of their tribal roots. When: Saturday 4th April, in the afternoon-onwards. More information from the Yarra National-Anarchists. The Bay Area National-Anarchists have established a fundraiser to raise money for research in to Cystic Fibrosis, a disease that a family member of a BANA activist suffers with every day. Anybody that can support the BANA network in raising money to research and defeat Cystic Fibrosis, please do so!